Patralekhaa has made a beautiful post about how she and Rajkummar Rao fell in love and it's amazing. 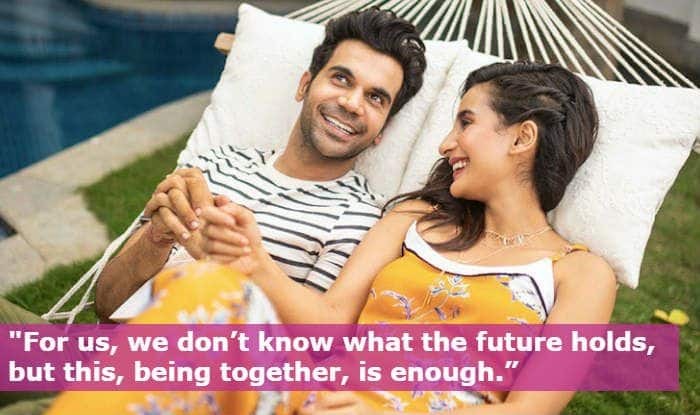 Actors Rajkummar Rao and Patralekhaa are dating each other for more than eight years now. And now, the woman in the relationship has taken to social media to share a beautiful post about how they met and fell for each other. Patralekhaa has revealed that it was love at first sight for Rajkummar and she couldn’t help but kept falling for the ‘talented’ man. The post talks about all the lovely details of their relationship, all the amazing moments they have shared so far and what they mean for each other. Patralekhaa has written, “I saw him for the first time in LSD. I thought the weird guy he played was actually what he was like. My perception of him was tarnished! He told me later, that he first saw me in an ad & thought, ‘I’m going to marry her.’ It was so ironic! Once we began working together–it was magic. The kind of passion he had was powerful & I couldn’t respect him any more than I did then! We spoke about our work, love for cinema, passions… I saw him through his struggles, never giving up. How could we not fall for each other? We didn’t officially go on dates, but we’d go for drives, movies, or just sit at home. We accompanied each other for auditions, just for support. All we needed was that understanding. He’d often go out of his way for me. Once he was late to see me, so he ran all the way from the airport to Juhu! Not only that, but when we weren’t earning much, he gifted me my favorite bag–it was so expensive! Years later, someone stole it in London! I called him sobbing–for me, it was about the memories. He’d bought it for me when he didn’t have much. Later, at our hotel, the exact same bag was waiting for me. These little things make me realise how lucky I am for him. And the best part is, he always says he’s the lucky one. Isn’t that what a relationship needs? To remind each other how grateful we are? He told me once that after I met his mom, she said, ‘I have a feeling she’s the last one I’m meeting.’ She was right–we’ve been together for 8 years. Both Rajkummar and Patralekhaa have been together for many years now yet their emotions feel so fresh. This post is the testimony to the fact that two people can find love in the most simple things around. Let the love be!